Often mistaken for other conditions, Lyme disease can cause chronic fatigue, neurological symptoms, widespread pain, and even nerve damage. 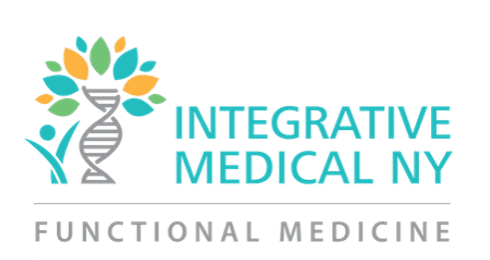 At Integrative Medical NY, the team of functional medicine experts helps patients in New York City heal from this debilitating condition and regain normal, healthy lives. Call or book an appointment online to begin your journey toward better health today. Lyme Disease treatment varies depending on whether the condition is acute or chronic. In acute situations, timely and comprehensive treatment minimizes the risk of long-term illness. Chronic tick-borne illness requires an accurate diagnosis after careful history-taking and symptoms assessment. Often, this is a clinical diagnosis. Laboratory data may support the clinical suspicion but antibody testing is unreliable, with many false negative results. Laboratory confirmation more difficult because of immune suppression by tick-borne pathogens. As a result, many individuals are misdiagnosed, have a delayed diagnosis or are inappropriately or incompletely treated. Our unique program is a synthesis of protocols in use by some of the most experienced specialists in the field of Lyme disease. Mary-Beth Charno, one of our Nurse Practitioners, has worked with these leading clinicians and integrates their approaches. She combines her clinical experience and methodical history-taking with in-depth testing to determine a treatment plan. This includes various rotations of pulsed antibiotics, often with botanical therapies. We support your treatment with anti-oxidant IV nutrients, sauna, and an immune-strengthening lifestyle. With our experience in all of these treatment modalities, we can design a customized program that addresses symptoms, specific pathogens, duration of your illness, responses to prior treatments, and contributory lifestyle factors.